THE NOBEL PRIZE FOR LITERATURE has come a long way since French poet Sully Prudhomme was awarded the inaugural prize in 1901. Albert Camus won it at the age of 43 in 1957. Doris Lessing was the winner of the Nobel Prize for Literature in 2007. British playwright Harold Pinter won the prize in 2005, the first Briton to win the literature award since V.S. 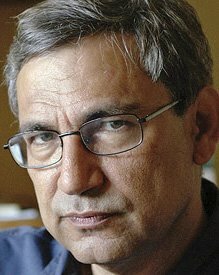 Naipaul won it in 2001, while Orhan Pamuk was awarded the prize in 2006 for his contribution to World Literature with a consistent body of work, both fiction and nonfiction, the first ever Turkish writer to win the prize. And Günter Grass and Derek Walcott got theirs in 1999 and 1992 respectively. J.M. Coetzee got his in 2003. Despite what we may think, the Nobel Prize is considered by many to be the highest accolade for writers. So who will it be for 2008? A couple of candidates easily come to mind: Chinua Achebe, Isabel Allende, Margaret Atwood, John Banville, Yves Bonnefoy, Peter Carey, Jean-Marie Gustave Le Clézio, Don DeLillo, E.L. Doctorow, Umberto Eco, Carlos Fuentes, Peter Handke, F. Sionil Jose, Milan Kundera, Claudio Magris, David Malouf, Javier Marías, Harry Mulisch, Alice Munro, Les Murray, Michael Ondaatje, Amos Oz, Philip Roth, Salman Rushdie, Tomas Transtromer, Michel Tournier, Barry Unsworth, John Updike, Mario Vargas Llosa and A.B. Yehoshua. Paul Auster, A.S. Byatt, Anita Desai, Richard Ford, Mary Gordon, Ian McEwan, Cormac McCarthy, Haruki Murakami, Joyce Carol Oates and William Trevor are also worthy choices. Who else should be shortlisted? As an American who has watched year after year with no North/South American winners I think we can finally conclude that Nobel is a European award that allows for the occasional non-European choice. At this point, in light of recent history I will be stunned if a non-European wins. 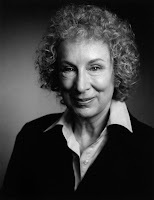 Even the non-Europeans who have won in recent years have strong European connections (Gao Xingjian) or write in the European tradition (Coetzee/Pamuk/Naipul). As a American I find myself saying "Have any of the recent winners written as many strong novels as Philip Roth? Vargas LLosa, Fuentes, Delillo, McCarthy, Pynchon, Atwood, Munro, surely there is room for one of these names in the Nobel circle. I'm pulling for Roth, maybe he doesn't translate well into other languages, such as Swedish. Chinua Achebe would be a great choice. I appreciate European writers, but its time for a broader group than the Eurocentric choices that have been made in the last 20 years. Le Guin would be a great choice! SciFi has been ignored by Nobel as have all other so-called genre writers. Let's face it, Lessing didn't win for her sci-fi. Left Hand of Darkness is one of the most significant novels of this era. The Earth-Sea works are also outstanding, as is The Dispossessed. Again, with the lack of attention paid to American writers a bold choice like Le Guin seems unlikely. Achebe would be a great choice. So overdue! Achebe would be a great choice. So overdue. So overdue! I go for Carlos Fuentes. His seminal work "Terra Nostra" and his other oeuvre is breathtaking history and geography of the American continent. F. Sionil Jose also deserves it. Horace Engdahl’s recent comments concerning American writers are an unfortunate confirmation of what most of us inferred already- the Nobel committee hates American literature. The reasons matter little, however it appears clear that Euro snobbery is at least part of the answer. There is probably a measure of jealousy, mixed with political punishment for the Bush administration policies. Historically, Nobel has largely ignored American writers. When one considers that since 1962, when John Steinbeck won, only three Americans have won-(and one of them was really a European writer- Isaac Bashevis Singer- writing in the Yiddish tradition and language-although we are happy to claim him) it is clear that Nobel disdains America. Maybe this isn’t so bad when one considers the stunning list of European and Non-European non-winners which leads one to conclude that the Nobel committee knows nothing about literature. Consider this partial list of non-winning European writers who were eligible since the prize was created in 1901: Leo Tolstoy, Emile Zola, Anton Chekhov, Henrik Ibsen, Thomas Hardy, August Strindberg, Edmond Rostand, Arthur Conan Doyle, H.G. Wells, Joseph Conrad, Rainer Maria Rilke, A.E. Housman, Miguel de Unamuno, Marcel Proust, Maxim Gorky, Hugo von Hoffmansthal, James Joyce, D.H. Lawrence, G.K. Chesterton, Fernando Pessoa, Isaac Babel, Virginia Woolf, Federico Garcia Lorca, Osip Mandelstam, Paul Valery, Aldous Huxley, E.M. Forster, Bertolt Brecht, George Orwell, Luis Cernuda, Isak Dinesen, W.H. Auden, Nikos Kazantzakis, Paul Celan, Jorge Luis Borges, Graham Greene, Alain Robbe-Grillet, Jean Anouilh, Italo Calvino, Eugene Ionesco, Stanislaw Lem, Iris Murdoch, Milan Kundera. None of these writers were deemed worthy by the Nobel Committee. Consider this partial list of North/South American writers who were also ignored by Nobel: Henry James, Mark Twain, Joaquim M. Machado de Assis, Edith Wharton, Willa Cather, John Dos Passos, Theodore Dreiser, Robert Frost, Wallace Stevens, Flannery O’Connor, Vladimir Nobokov, Alejo Carpentier, Julio Cortazor, Robertson Davies, Mario Vargas Llosa, Philip Roth, Arthur Miller, Carlos Fuentes, Thomas Pynchon, Norman Mailer, Don DeLillo, Cormac McCarthy, Ralph Ellison, F. Scott Fitzgerald, John Updike, Margaret Atwood, Roberto Bolano etc. etc. Instead of some of these names we get unbelievable selections like Dario Fo, Elfriede Jelinek, Gao Xingjian. The simple fact of the matter is that while many Nobel laureates have richly deserved the prize (like recent choices such as Pinter, Coetzee, Saramago, Grass) these choices are the exception rather than the rule. In light of the comments of Engdahl coupled with the total lack of North/South American winners since Toni Morrison’s win in 1993 it is time to wipe clean the Academy and find new and qualified Nobel selectors. The award is so tainted at this point it seems to be an international joke. I love European literature but to annually award the prize to European writers while virtually ignoring the rest of the world is not acceptable. If you want to have a European award go right ahead but don’t pretend that this flawed award is the height of international acclaim. Nobel virtually missed the “Latin Boom”, has all but ignored North American literature, Asian literature, Australian literature and African Literature. How do you justify the choice of someone like Jelinek while not picking Chinua Achebe or Philip Roth or Roberto Bolano? A new international award is needed to properly reflect literary greatness. Engdahl’s ridiculous comments only confirm the misguided selection process that has resulted in choices that will seem as bizarre as the terrible early choices made by the committee. I like Handke, but I believe that his political stance (at times painfully pro-Serb) will prevent him from winning anytime soon. My top pick is Roth, but in light of the recent comments by Engdahl, it doesn't seem like an American, however worthy, will be winning this year or anytime soon. But if Europeans (and non-Europeans who work in Europe) keep winning year after year, it is going to be increasingly difficult for the Swedish Academy to even pretend that theirs is a prize that encompasses the entire world of literature.